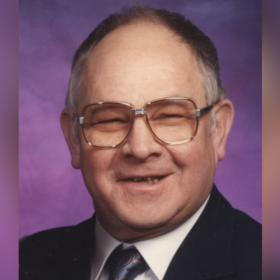 Mr. John David Pastotnik Sr., age 87, passed away Tuesday, November 27, 2018. He was born to Dominik & Mary (Krec) Pastotnik in Harrietta, Michigan on April 4, 1931. He was the 11th child of 14 children; 1 brother and 12 sisters. He attended Harrietta Public Schools where he graduated from the 8th grade. He also worked on the family farm. 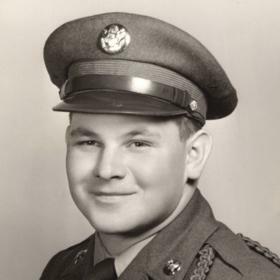 In 1951-1952 John Spent 14 months in Korea with the US Army, 25th Division and he married his beloved wife, Flora Harriett Chandler at Sacred Heart Catholic Church in Muskegon. In coming to the Twin Lake area, he worked for Muskegon Piston Ring for 3 years and cut meat for Ed & Nila Powell at Powell’s Market for 15 years. Upon Ed & Nila Powell’s retirement, John and Flora purchased the market to be named “John’s Market”. John spent 50 years cutting meat at the market. John and Flora also built Flora’s Twin Lake Marathon Gas Station and Hot Stuff Pizza and operated it. They would later purchase Rothbury Market as well. John was very busy as a licensed contractor, building and remodeling homes in the area and as the sexton of East Dalton Oakhill Cemetery. He dug graves there for over 30 years. He enjoyed working and deer hunting. John is survived by daughter, Louzella (Ron) Schulz of Muskegon; sons, John (Betsy) Pastotnik Jr. of Twin Lake, Dominic (Mary Jo) Pastotnik of Rothbury; grandchildren, Todd, William, Jennifer, Alissa, Amelia, Lucas & David; 14 great grandchildren; sisters, Connie (Ed) Williams, Albena Lipar; many nieces & nephews; He was preceded in death by his wife of 62 years, Flora in May; daughters, Olive Mary & Cynthia Joan Pastotnik; grandson, John Pastotnik III; 1 brother and 7 sisters. Tuesday, December 4, 2018, 11:00 AM with visitation one hour prior to the service at St. Michael's Catholic Church, Brunswick with Rev. Peter C. Schafer officiating. MEMORIAL: In lieu of flowers, John would appreciate you donating to St. Michael's Catholic Church, Brunswick.